Barack Obama’s lack of loyalty to Vice President Joe Biden is stunning. Biden has been the ultimate loyal soldier often jumping out front to take the flak, often pilloried as being a hapless Obama apologist. But even those acts of fealty seem to make little difference to Obama. 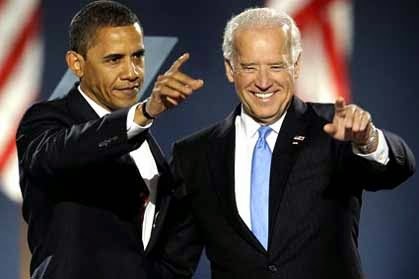 A new book, by crack journalists Mark Halperin and John Heilemann, seems to have the goods on the fact that Obama did actively consider replacing Irish American Biden with Hillary Clinton before the 2012 race heated up. Former Chief of Staff Bill Daley admits as much in an interview with The New York Times, who first broke the story. Biden has been critical to the president at several key moments, yet those interventions were whitewashed and instead a nasty political exercise was carried out. It involved polling to see if Hillary Clinton would increase the support for the ticket. Obama will deny it, but he had to know it was being carried out. (Kinda like he didn’t know about NSA spying on friendly world leaders). The answer, unsurprisingly, was no bounce with Hillary. Americans don’t vote for VPs in election years, they are rightly focused on the president. But what if Hillary had polled ten points better than Biden on the ticket? Have no fear Obama would have had Biden disembowelled and disappeared before the election began. It has been a long time since we have had such a cold, utterly detached creature in the White House as Obama. We’d probably have to go back to Calvin Coolidge to get a president so disinterested in the political process. The latest revelation that he was likely seeking to drop Biden, the ultimate faithful soldier, is another example of his disconnect with ordinary people. Biden’s best revenge would be to say little but run and win in 2016. Unlikely, but don’t rule it out.